The Extra Mullet is the bigger (6HP), badder version of the Mullet. 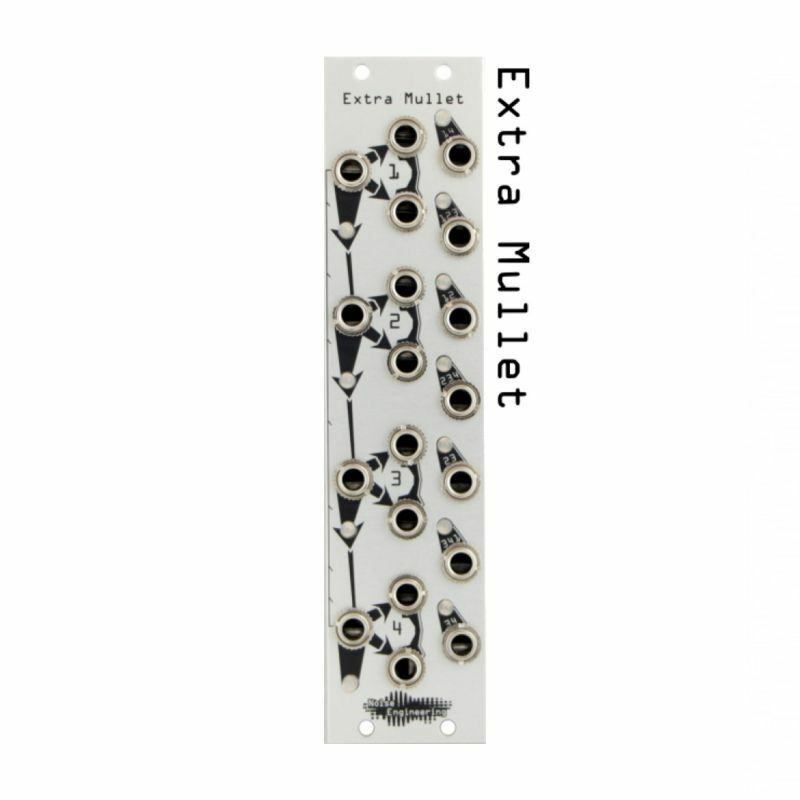 It’s just as business in the front, but has way more party in the back: an extra 2HP strip mixes inputs for 7 extra outputs that sum combinations of the four inputs. Extra - from Latin extra for "more"